You are here: Home › Places › Destinations to add to your 2018 travel list! It was another great year of travel for me and I kept snapping lots of photos and sharing them on this blog and my Facebook and Instagram pages throughout the year. Without further ado, here are 16 of my favourite travel photos from 2017 of places which I certainly would recommend for your travels in 2018. 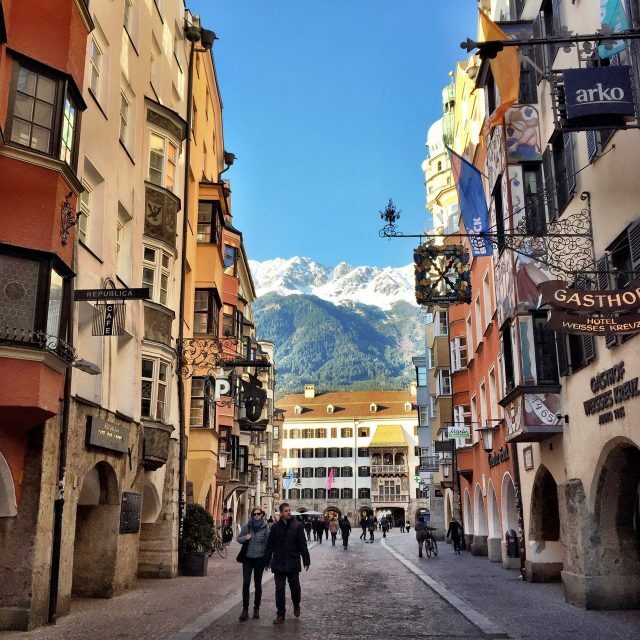 A quaint street in Innsbruck with the mighty snowcapped peaks of the Tirolean Alps as a backdrop. Read about the spectacular Cape Peninsula drive which passes Camps Bay. 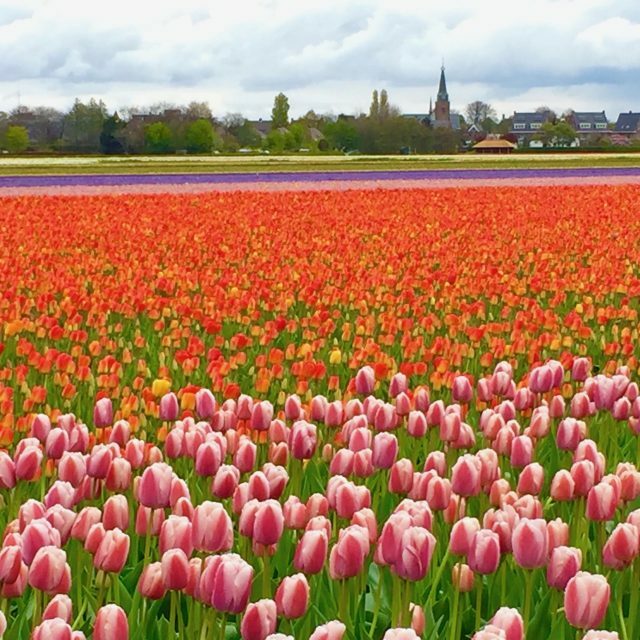 The tulip fields in Holland are a sight to behold every spring. Read more about a drive around the tulip fields. The grand Mausoleum in Graz. Graz is Austria’s second largest city and one of my favourite ‘discoveries’ in 2017. 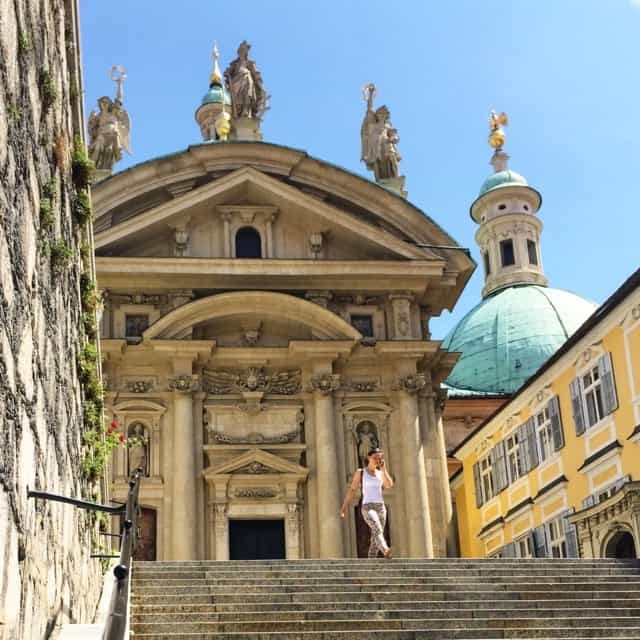 Read about my recommended things to do in Graz. Street musicians in the historic centre of Ljubljana. Another of my favourite discoveries in 2017: Ljubljana, the charming capital of Slovenia. Read about things to do in Ljubljana. Abbaye de Fontfroide is a splendid 12th century monastic abbey near the city of Narbonne in the south of France. 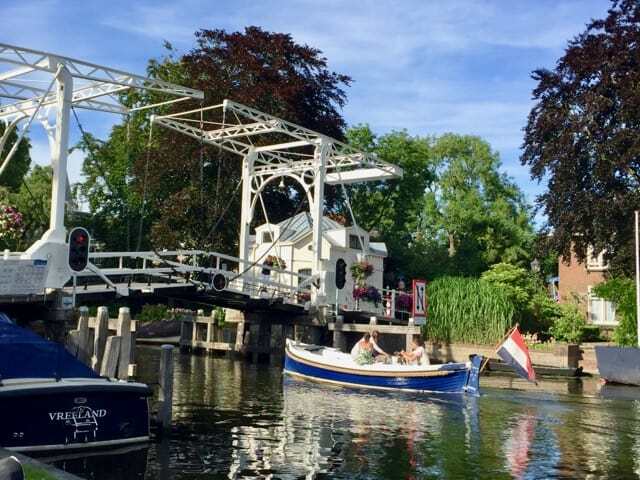 This little village is a tranquil retreat just 30 minutes from Amsterdam. Read about my culinary getaway in Vreeland. Sunset on Cenang Beach in Langkawi. 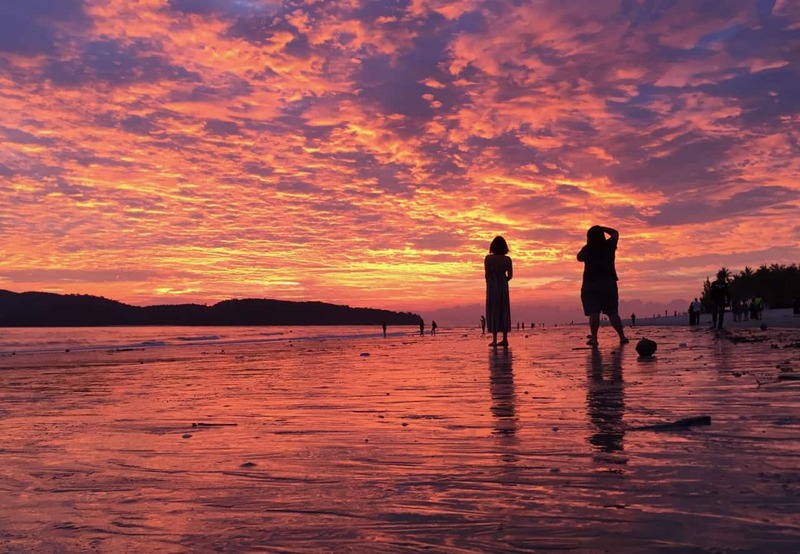 I spent a few days on Langkawi Island with my family and the sunsets were breathtaking! Read about my stay in Langkawi. 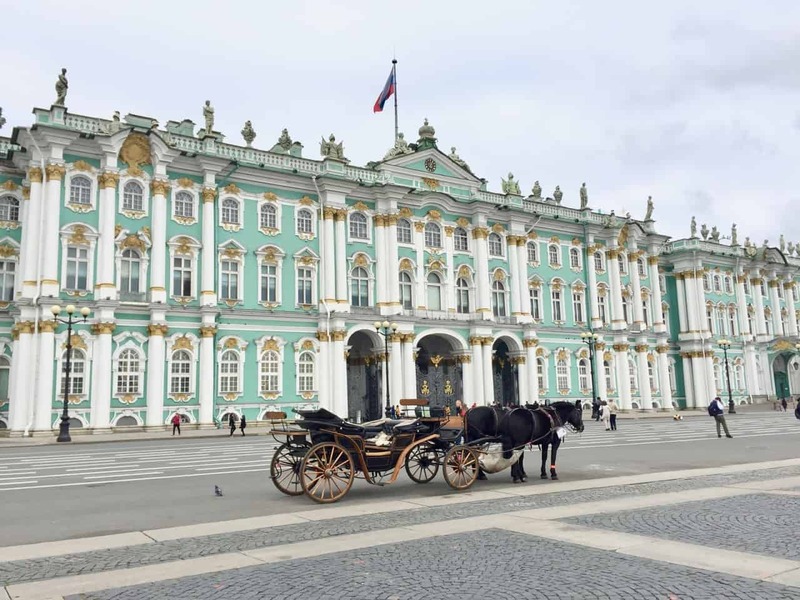 Read about my impressions of Saint Petersburg. 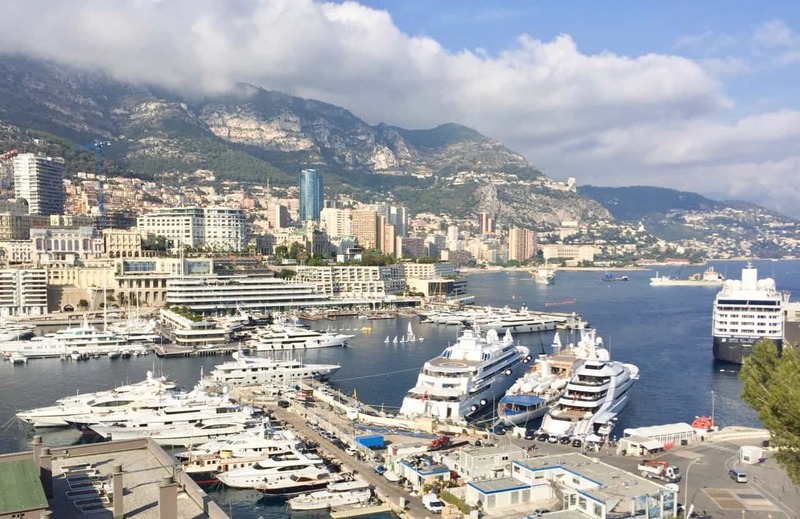 The port of Monaco with its massive yachts! Read about how I felt like a rock star in this jet-set haven in the south of France. The historic Dwor Artusa building in Gdansk, seen through a puddle of water. I visited Gdansk for the first time and absolutely loved its history and architecture. 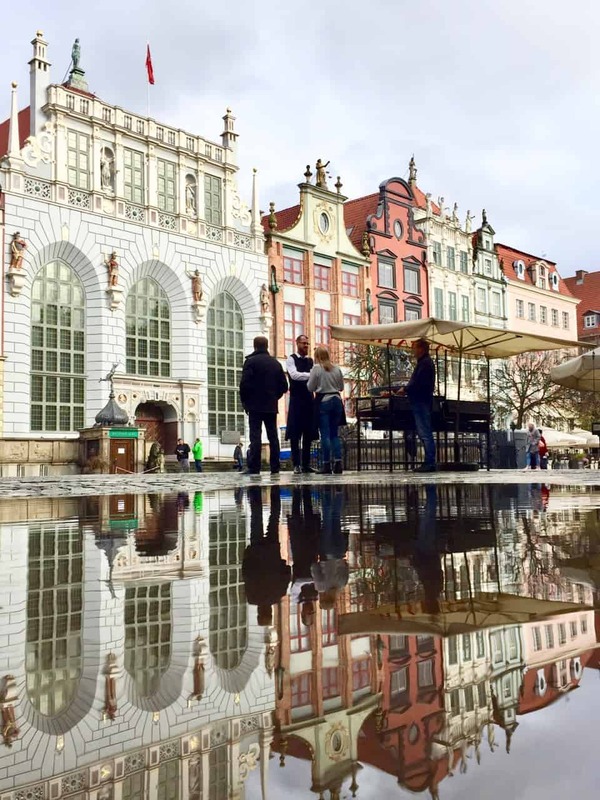 Read about reflections of Gdansk, a historic city in northern Poland. Check out my pub crawl in Gdansk. The impressive City of Arts & Sciences in Valencia. I was in Valencia for a conference and I was honoured to speak in this iconic building. Read about things to do in Valencia. 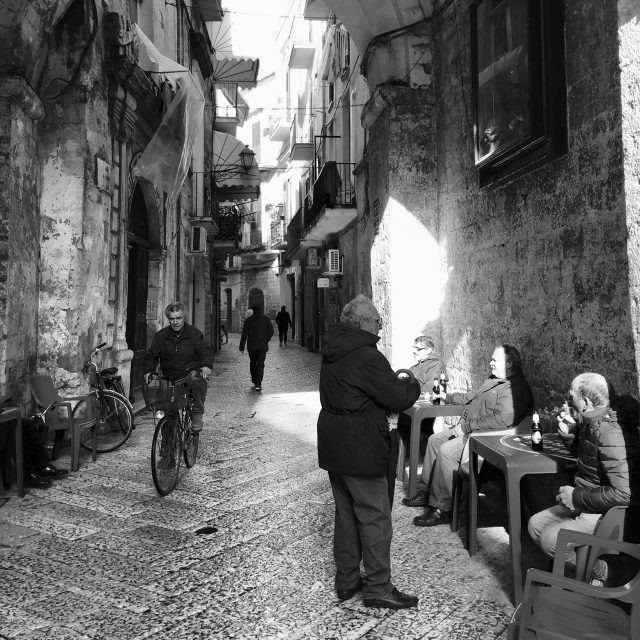 A street scene in the old town of Bari. Read about my stroll around Bari. This ancient city in the south of Italy was unlike any other place I’ve ever visited! 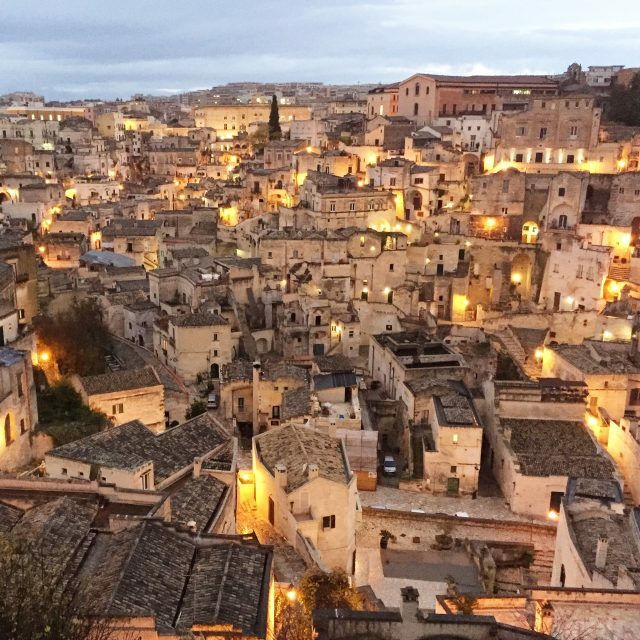 If you’re looking for a city to visit in Italy in 2018, Matera should be on the top of that list! Matera will be Europe’s Capital of Culture in 2019. Read about things to do in Matera. A stall at one of the Christmas markets in Dresden, Germany. Read about the Christmas Markets in Dresden. 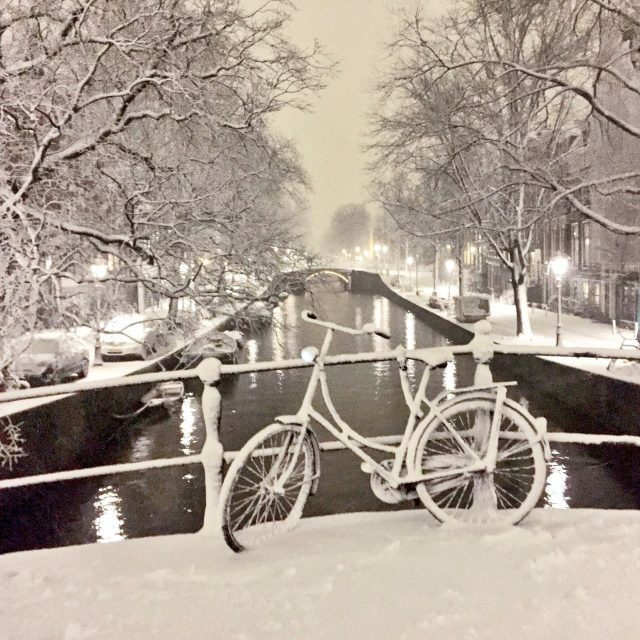 My favourite shot is of this bicycle on a bridge in the snow. Innsbruck and Graz have been on my list for a long time now. Hope I’ ll travel there soon. I’ve noticed that you’ve visited both Poland and Russia but somehow skipped Ukraine. I’m from Lviv, Ukraine and I highly recommend that you visit it for a few days. It’s a UNESCO Heritage Site so impressive architecture is guaranteed. I’ve recently made a short guide to the city (I’ve linked to it) so check it out if you’re interested. Great to see Ljubljana on this list. We first went there in 2012 and were pleasantly surprised. A charming European city with delicious food and wine options. Found ourselves enjoying a coffee and watching the ebb and flow of Ljubljana life. And of course the view from the castle is not to be missed. I’m sorry but I don’t have any travel tips for Fiji. I’m sure you’ll be able to find many via Google. Have a great trip! I have got my passport ready this year only and was going through your blog for doing some international trip. what about FIJI, can you suggest something on it, i am planning by end of this year between Sep to Dec. Very cool! Enjoy Ljubljana & Innsbruck! And I hope you get to see the tulips too! Gosh, I’ve only been to Norway once and that was maybe twenty years ago! Time for a re-visit I’d say! Sorry, I can’t be of much help. I’m going to Norway this summer! Do you have any tips or tricks? I’m definitely going to let you know if I visit Poland again – Krakow is very high on my list! Keith, I always love your posts – you bring such a fresh perspective (I may be bias as that’s how I love to travel too – whether with our tour guests or solo – and you deliver every time). Thank you for the beautiful photos and even a couple of places I’d never heard of before. I have to say Vreeland sounds like the perfect getaway destination. May have to take a research trip there soon haha! Indeed! Lots of beautiful places to explore this year! What’s at the top of you list?